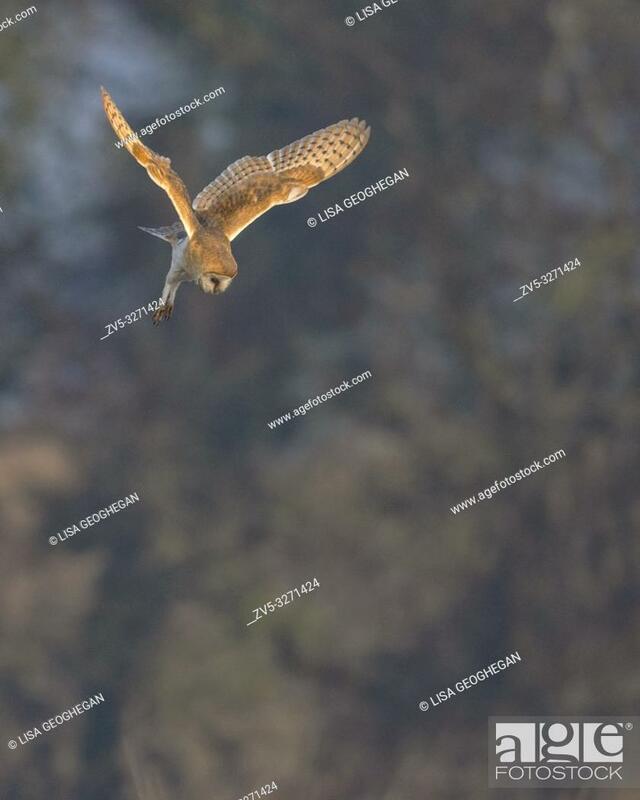 Foto de stock - Barn Owl-Tyto alba hovers. Winter. Uk.